Duncan B. Murdoch, 89, of East Berlin, beloved husband of Sandra Bower Murdoch, died peacefully on Tuesday, April 2, 2019, at Jerome Home in New Britain. 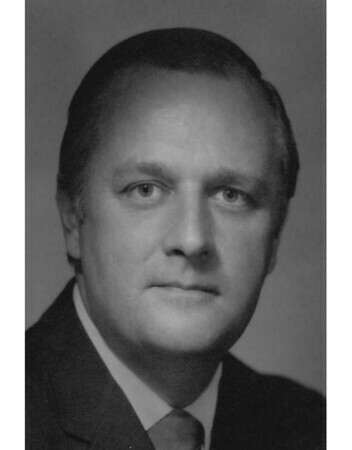 Duncan will be deeply missed by his wife Sandy; his son, Walter Murdoch and wife Laurie; grandsons Jeffrey, Gregory and Daniel of Glastonbury; daughter Lesli Murdoch of Newington; stepson Christopher Bower, wife Jessica and their son Samuel of Yelm, Wash.; sister Ann Cooper and husband Anthony of Essex; brother William Murdoch of Ohio; several cousins in Hawaii; in-laws Ed Napierski of Higganum, Rick and Annette Napierski of Burlington, Debbie and Dave Ayotte of South Carolina; and numerous nieces and nephews. Duncan also cherished friendships with Ira and Barbara Levin, Bob and Lydia Chidsey, Peter Smart, Bob Rawlings, Janet and Bill Carlson, and very special friends Mary and Richard Wilcox. A celebration of Duncan’s life will be held on Friday, April 12, at 11 a.m. at the Burritt Hill Funeral Home, 332 Burritt St., New Britain. Visitation will be at 10 a.m. prior to the service. The Murdoch family wishes to thank the Jerome Home staff for their care, kindness and friendship with Duncan and Sandy during his stay with them, as well as the Hartford Healthcare Hospice team for their care and compassion. To share a memory or words of comfort with Duncan’s family, please visit us online at www.duksa.net . Posted in New Britain Herald, on Sunday, 7 April 2019 21:03. Updated: Sunday, 7 April 2019 21:06.